On 3/27/17 Investigators with the Oxford Police Department served an arrest warrant on David Blackburn (38 of Oxford) for felony malicious mischief. Blackburn is accused of having a sign removed and destroyed near the Oxford Commons that did not belong to him. The owner of the sign signed charges on Blackburn. Mr. Blackburn turned himself in and his bond was set at $1,500.00. On March 23, 2017 investigators of the Oxford Police Department served an arrest warrant on Blake Robert Boyd (21) of Mandeville, Louisiana for one count of Burglary of a Dwelling. On March 22, 2017 the victim reported to the Oxford Police Department that Boyd broke into her apartment on March 21, 2017 and took away food, a duffle bag, and a journal. The victim then stated Boyd burned her journal and placed three pages on the windshield her car. Boyd was booked and his bond was set at $10,000.00. On January 28, 2017 a male entered Wal-Mart and stole $5,648 worth of Home Security System merchandise. A warrant was issued for him and on February 21, 2017 Ricky Patterson, 22 of Corinth, MS was arrested in Hernando, MS. He was brought back to Oxford, MS and given a bond of $5,000. He has been charged with Shoplifting. On March 17, 2017, officers with the Oxford Police Department attempted to stop a silver Ford Crown Victoria driven by Carl Justice 29 of Water Valley, MS. The vehicle fled from law enforcement when officers attempted to stop him for a seatbelt violation. He fled into the county and was apprehended soon after. 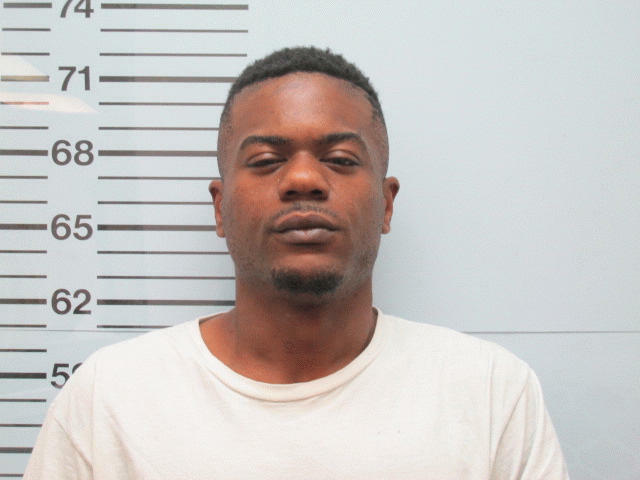 Carl Justice was charged with Felony Fleeing in a Motor Vehicle, No seat belt, No Driver’s License, Possession of Drug Paraphernalia, No Insurance, Reckless Driving and a warrant with the Lafayette County Sheriff’s Office. His bond was set at $5,000. On Friday, March 17, the Oxford Police Department arrested Tevin Belim (24 Calhoun City, MS) and Tyrone Tillman (20 of Coffeeville, MS) for grand larceny. On March 15, 2017, a victim reported her wallet was stolen while she was in Walmart. The victim stated there was a large amount of money and jewelry in her wallet. After looking at video from Walmart, Belim and Tillman were identified as the suspects. They were later arrested and the wallet was found on Highway 9 on the side of the road. Belim was given a bond of $5,000 and Tillman was given a $10,000 bond. 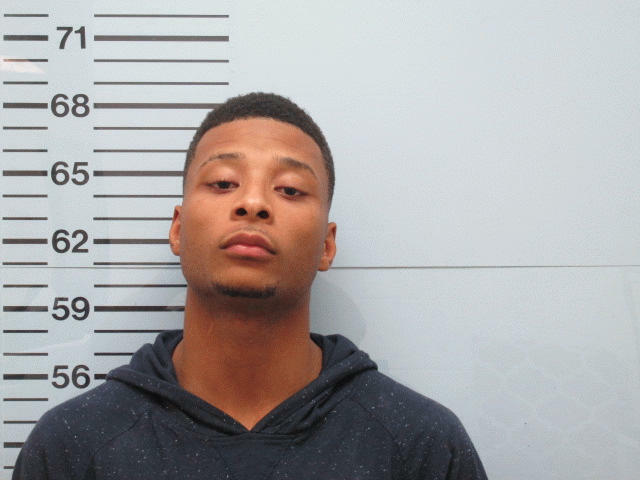 On Friday, March 10, 2017 investigators with the Oxford Police Department arrested Cory Fulgham (23) of Vicksburg, MS, for armed robbery. Fulgham and another suspect (Grady Bishop) were accused of chasing a man with a knife and cutting the victim’s finger. Fulgham and the other suspect tried to stab the victim in the neck with the knife while kicking him in the head while he was on the ground. The victim stated he had a phone, $940 and cigarettes were stolen from him during the attack. The second suspect, Grady Bishop has an active arrest warrant for Armed Robbery, he is not in custody. Fulgham was booked for Armed Robbery and his bond was set at $15,000.00. 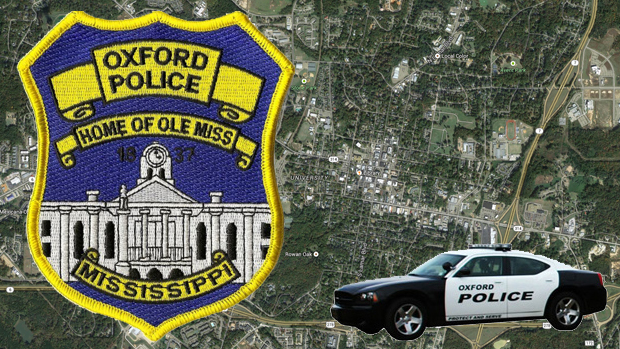 On Friday, March 10, 2017 officers with the Oxford Police Department were dispatched to Mississippi Auto Arms on Van Buren Ave in reference to a shoplifting. The suspect had already left the business but was soon spotted by the patrol lieutenant on shift. The suspect vehicle was stopped and all merchandise totaling over $1,200 was recovered. The driver identified as William Jurney was taken into custody. Jurney was arrested for shoplifting and given a bond of $2,000. On February 28, 2017 officers with the Oxford Police Department took a walk in report of residential burglary. The victim reported that his ex-girlfriend who was identified as Kimberly Barco broke into his residence through a window and stole a dog collar that was on his dog. Kimberly Barco was subsequently charged by the victim, she has been arrested and given a bond of $1,000. At approximately 4:25 PM on Sunday, March 12, 2017 officers were dispatched to the Emergency Room at Baptist Memorial Hospital-North Mississippi. Dispatch reported that a young boy, Henry Miller 9 years old, had been struck by a moving vehicle and was being transported by his parent’s car to the Emergency Room. Henry had climbed into the driver’s seat and inadvertently put the car in neutral. As the vehicle began to back down the driveway Henry attempted to exit the vehicle, but was unable to escape the wheel’s path. When officers arrived Henry was in critical condition. After an unrelenting effort by the emergency staff, he succumbed to his injuries and was pronounced dead at the hospital. The accident took place on Whippoorwill Lane, there are no other injuries and no charges pending. The Oxford Police Department would like to extend our deepest condolences to the Miller family. We ask that everyone please respect their privacy during this time. On Thursday March 9th 2017, Oxford Investigators arrested Christopher Gann 22, of Nettleton, MS. This was a result of Loss Prevention of Walmart signing charges on him after we made a positive ID. The total amount of the items taken from Walmart was $1,835.05. This incident happened on 1/19/2017 and he was pick up in Monroe County and transported to Oxford. Bond was set at $5,000.00. On Friday March 3, 2017, Oxford Investigators arrested Tony L. Jones 40, of Oxford. The victim stated that she was walking home on Jackson Avenue when she was approach by a male subject that offered her a ride home. The victim stated the next thing she remembers is that she was inside a house and Jones was attempting to sexually assault her. She stated that Jones wedged a baseball bat against the door where she could not get out. The victim started yelling and pushing Jones off her. When she got up she removed the bat and ran outside. Once outside she took a picture of Jones vehicle and tag number before she left the residence. She contacted us and was able to identify Jones in a lineup as being the man who tried to assault her. Jones was arrested for Attempted Sexual Assault and bond was set at $25,000.00. At approximately 2:55 PM officers responded to The Gather Apartment Complex on Hathorn Road for gun shots being fired in the area. When officers arrived at the complex they spoke with two witnesses. The witnesses saw the shooting and was able to give information on the shooter. After speaking with witnesses officers checked the area and found 10 fired shell casings in the parking lot. Officers then made contact with Rashaun Weekly (20 of Charleston, MS). Weekley, a resident at the complex, was identified by witnesses as the shooter. He was taken into custody at the complex, charges are pending and no bond has been set at this time. The weapon was recovered and, at this time, there are no reported injuries. The investigation is ongoing. If anyone has information please call investigators at 662-232-2400 or CrimeStoppers at 662-234-8477. Weekly was charged today with Aggravated Assault and Possession of Stolen Firearm. The weapon used came back to a burglary in Tallahatchie County, the weapon was an AR-10 rifle. The weapon was released back to Tallahatchie County Sheriff’s Office. Bond was set at $5,000. On 2/28/17 officers with the Oxford Police Department responded to the Cove Apartments for a report of Domestic Violence. Upon arrival officers discovered that the victim had sustained injuries to her head and neck. The victim stated that her ex-boyfriend, identified as Aleric Birge (20) of Southaven, strangled her during the altercation and there were injuries consistent with her statement. On 3/1/17 Investigators arrested Birge for Domestic Violence-Aggravated Assault, he was given a $5,000 bond.